Friendly, welcoming Kentucky offers a wealth of vacation opportunities: Experience the rhythms of bluegrass music in the land where it began; discover American history, from the struggles of the early pioneers to the battle sites of the Civil War; take in a race at Churchill Downs, home of the Kentucky Derby; and breathe in the beautiful rolling hills of the Bluegrass State. Watch as a stick of wood is transformed into a baseball bat at the Louisville Slugger Factory and Museum; follow the Bourbon Trail to distilleries where the world's finest bourbon is made. 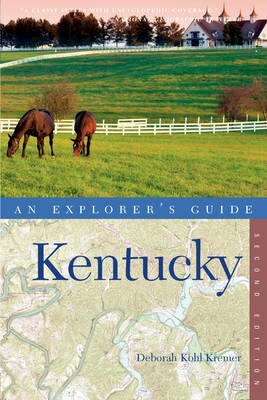 Art enthusiasts need look no further than Kentucky, where you can take in a play under the stars or explore eclectic galleries and museums. And come hungry, because the state harbors both world-class restaurants and down-home eateries. For those with outdoor adventures on their agenda, the state is a paradise, with plentiful opportunities for hiking, kayaking, spelunking, and fishing.